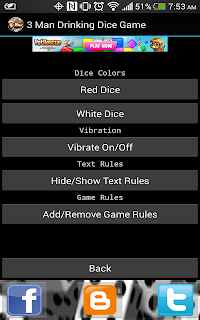 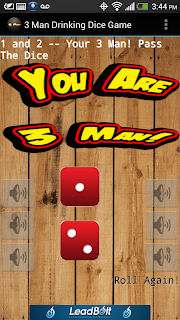 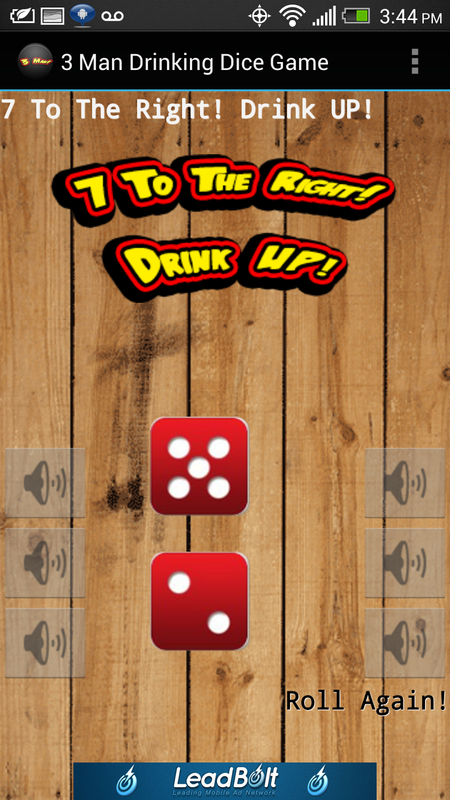 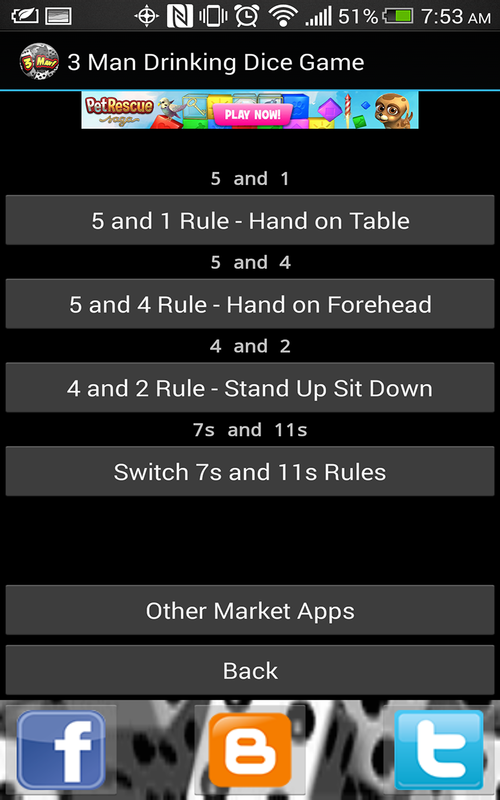 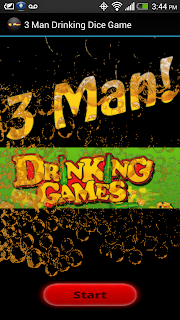 Just thought I would release some screenshots of our newest Android app, 3 Man Drinking Dice Game! 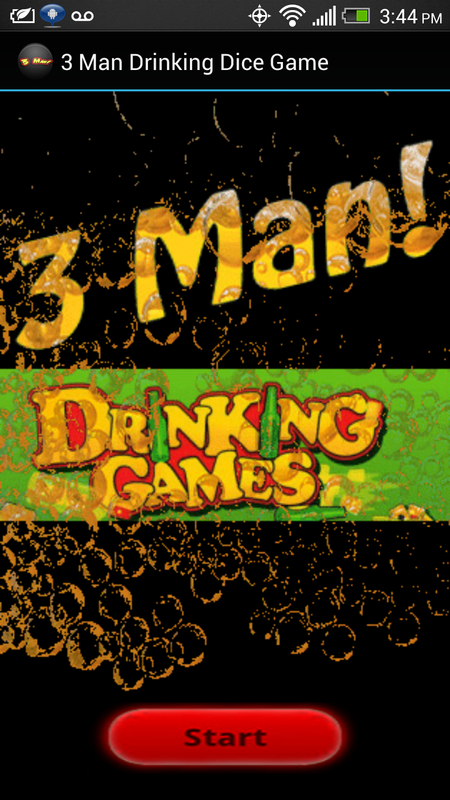 I've always enjoyed this drinking game, and I can safely say it is one of my favorites. 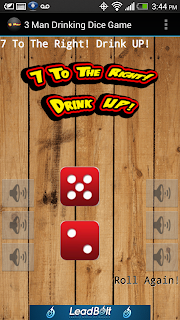 I hope all of you out there that find this app enjoy it greatly and get plenty drunk in the process! Also I have an Amazon App Store download link for those that have Kindles or use Amazon for your app store.